Preparing in advance for creating a content plan for your blog will put you ahead of the rest in a huge way. Believe it or not, many bloggers only blog when the inspiration strikes and have no regular content plan or consistency. But, those who are serious and want to create a money-making, high-value blog, start with a plan. Part of creating a great blog with awesome content is to really know your audience inside and out. You need to know what words make an impact on them. In addition, you need to know all their worries, fears, loves, and interests and how it relates to your products and/or services. The more you can speak their language about your products and services, the more impact your content will have on them. The niche you’re involved in has a past, present, and future. It’s important to understand the history of your niche as well as who the movers and shakers are. 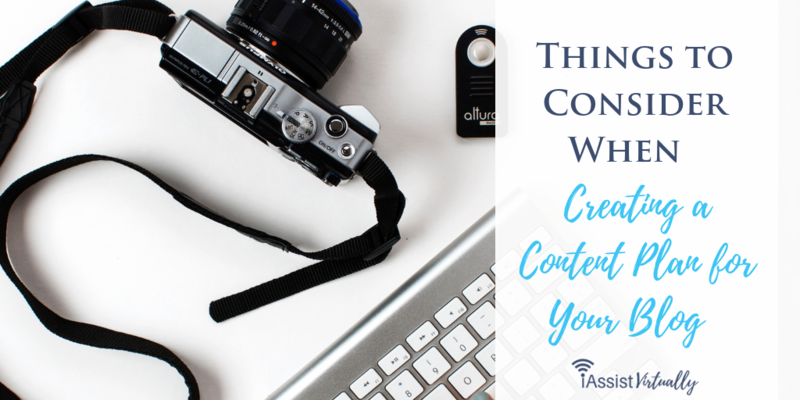 Knowing about your industry as a whole over just your one small part of it will keep you on the forefront of the industry, which can help you improve the content you create and take you to a whole new level. What Seasons, News and Events Impact Your Niche? Knowing in advance about what is coming up, or being aware enough to jump on something that has just happened in the news surrounding your industry are important components in creating an excellent content plan. Whether you blog about events, accomplishments, and happenings in your own life, or about a business industry, doesn’t matter. Keep it relevant by matching it to things your audience cares about. Today, your blogging content has to work in concert with newsletters, email, and social media content. You cannot plan your blog content without thinking about how you will promote the content. It’s no longer good enough to write it “and they will come” – instead, it’s important to understand how it all works together. What Main Pages Will Your Blog Have? Your blog needs to have more than just a blog page. 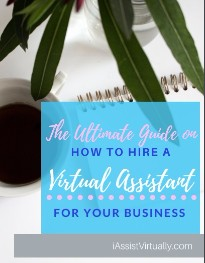 There are important pages that you will need in order to look very professional. 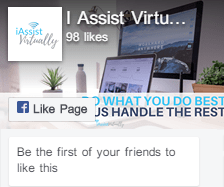 Not only are these pages important, but they also provide more real-estate to add in the copy that is needed to attract search engine traffic and your audience to read your blog posts. Decide in advance what pages you’ll have so that you can plan the content for each page. Once you’ve determined the pages you need outside of the “blog” page, it’s important to determine which categories you’ll have on your blog. Limiting the number of categories for your blog is important. Stick with 3 or 4 categories. The more you can narrow down the subject matter and categories, the more focused your blog posts will be and the easier they will be to find for your readers. What Type of Content Schedule Will You Choose? When creating the content plan for your blog, ask yourself how often you plan to post content. This is very important to know as you create an editorial calendar based on the products and services you want to promote. Knowing you plan to post daily requires a lot more work than posting weekly when you have the plan in front of you and of course, will get better results when it’s focused and consistent. What Are the Major and Minor Keywords That Define Your Niche? Studying keywords within your niche can help you come up with categories as well as subjects which you want to blog about. The subjects can also help determine what forms the content will appear in. For example, you may want to interview movers and shakers within your niche. These might be better suited for a podcast while a “how to” post might be better if it appears as a video on your blog. 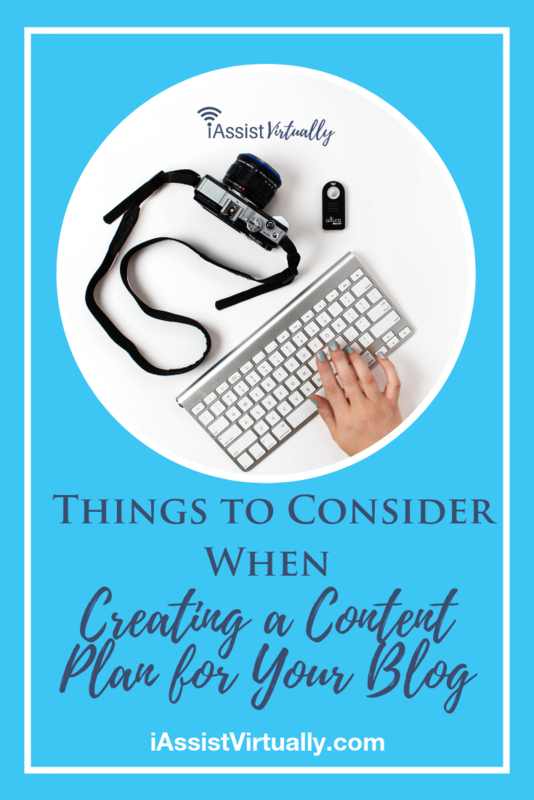 Creating a content plan for your blog is an essential element in having a successful blog. Without a plan of action to move your blog forward, it’s easy to get stuck only blogging when the whim strikes, which is why most blogs do not produce an income or results for the bloggers. Blogging with purpose and focus will make all the difference, and that starts with a content plan. If you’re struggling to plan out your blog content in advance, reach out to us for help! Our team is experienced in creating blog content plans for months in advance for all kinds of niches. Not only will we help come up with appropriate topics and keywords, but we can schedule your posts in advance with SEO, images, and great copy.